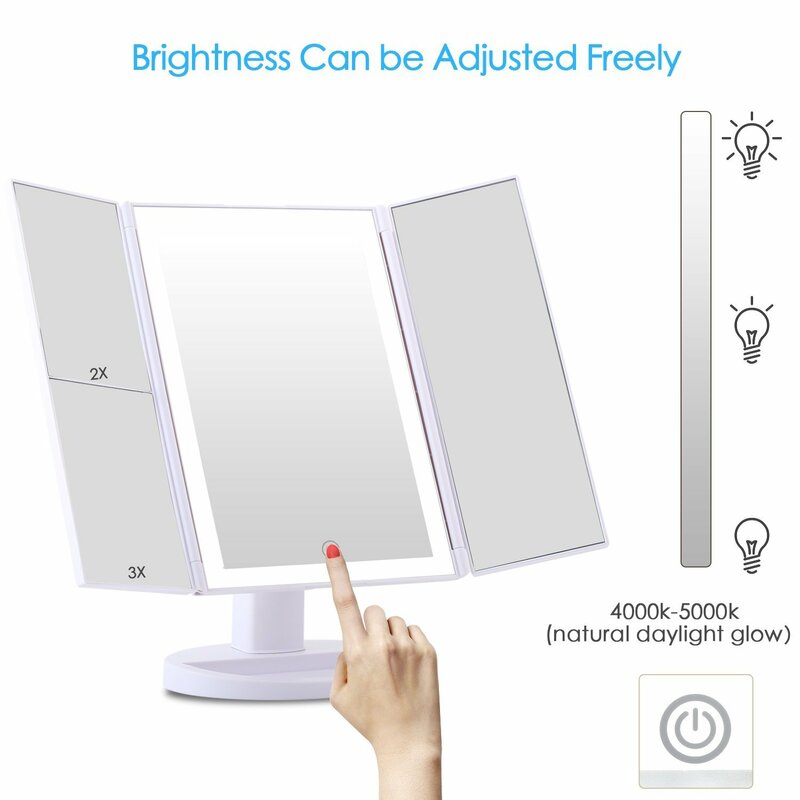 1-ADJUSTABLE BRIGHTNESS: it is safe to eyes and adjustable of the brightness by LONG PRESSING sensor switch. 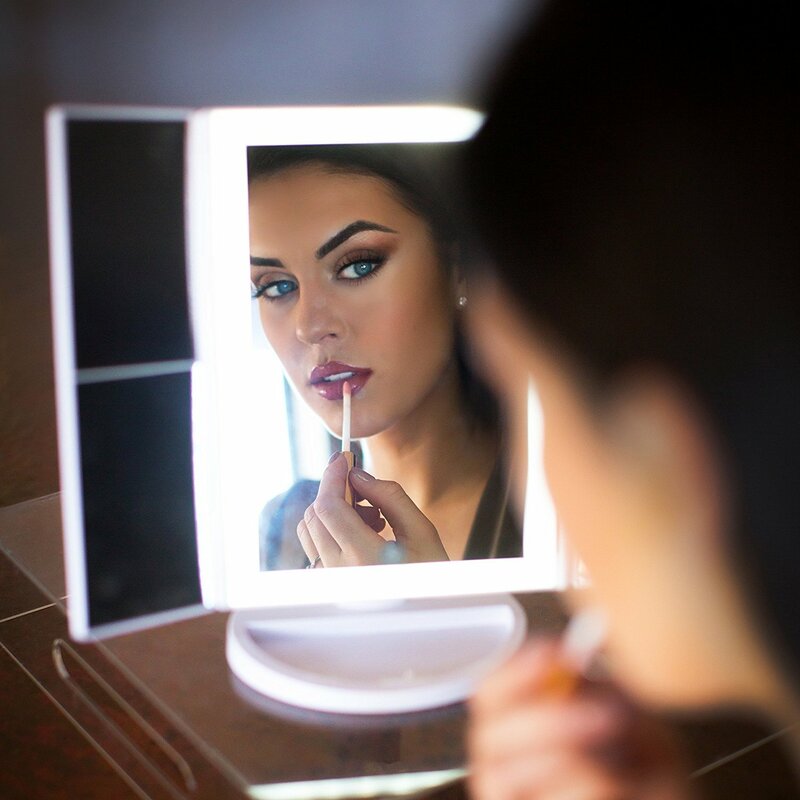 You can make up you in poorly light, without disturbing others. 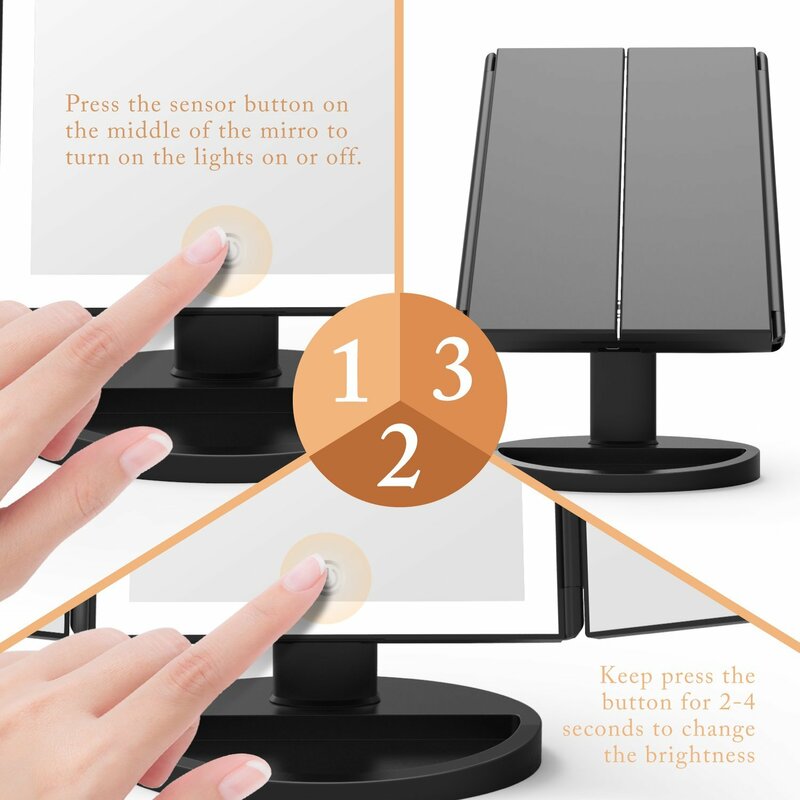 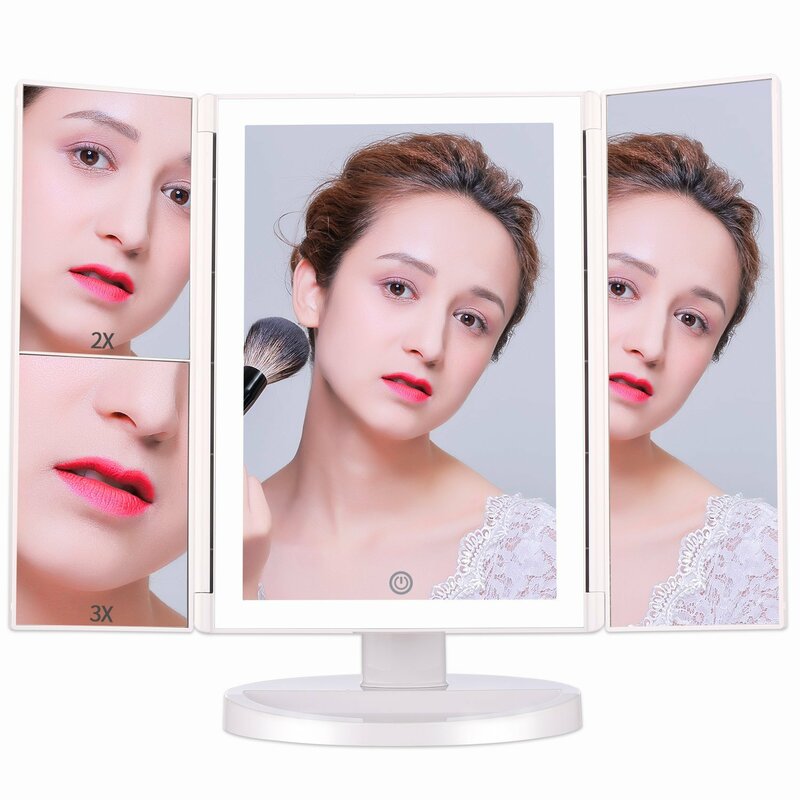 2-3 PANELS: 1X flat mirror with 2X 3X magnification spot design, makes sure every detail of your hair and makeup perfectly in place, especially working well for eyeliner, eyebrows , etc. 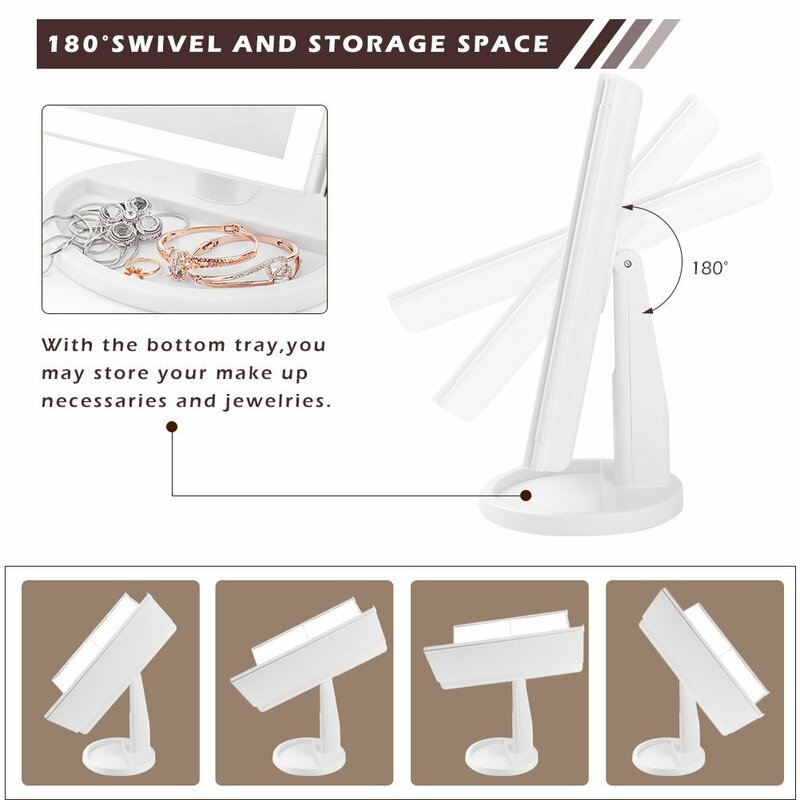 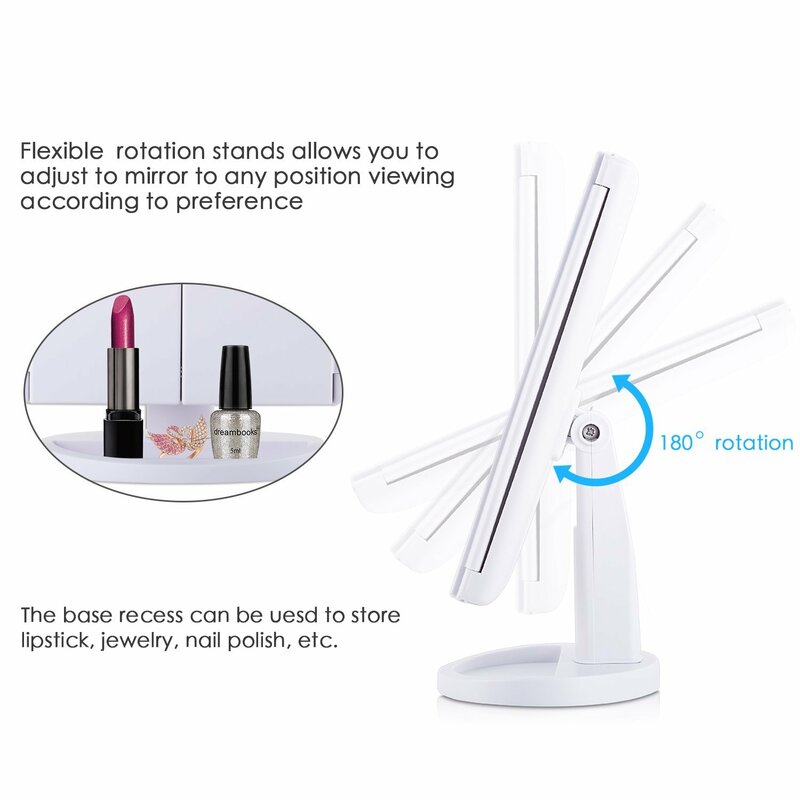 3-180°ROTATION & TRI FOLDED: Can be fixed at any position to give you the perfect viewing angle; with triple folded and base design, enables you to store up and carry on at any time any place. 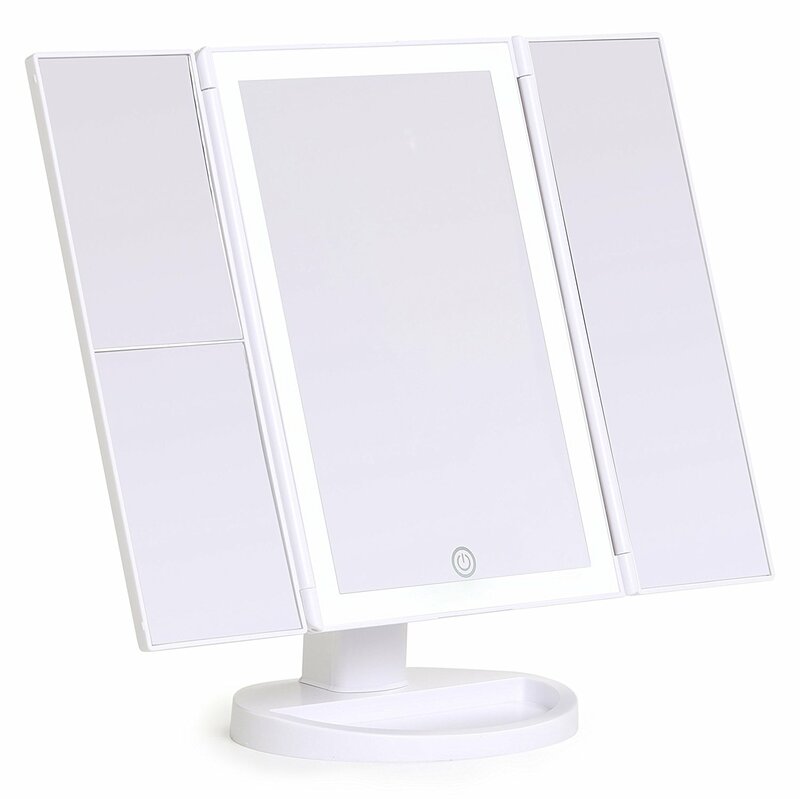 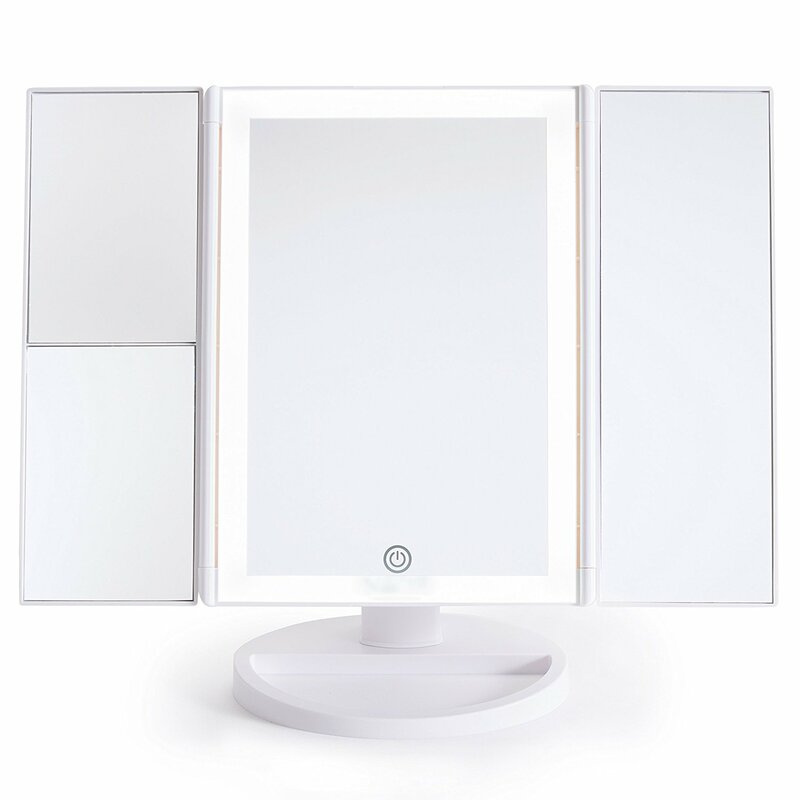 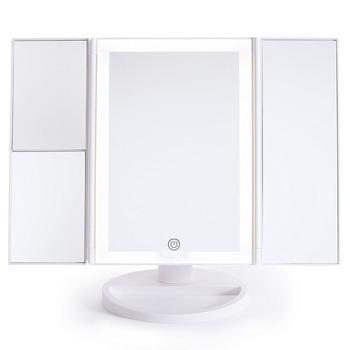 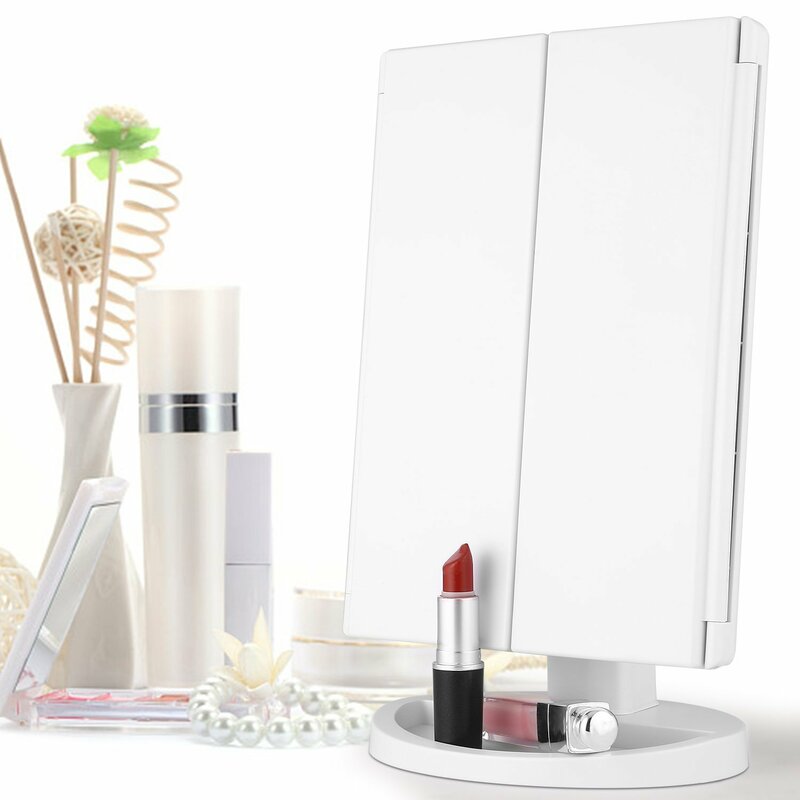 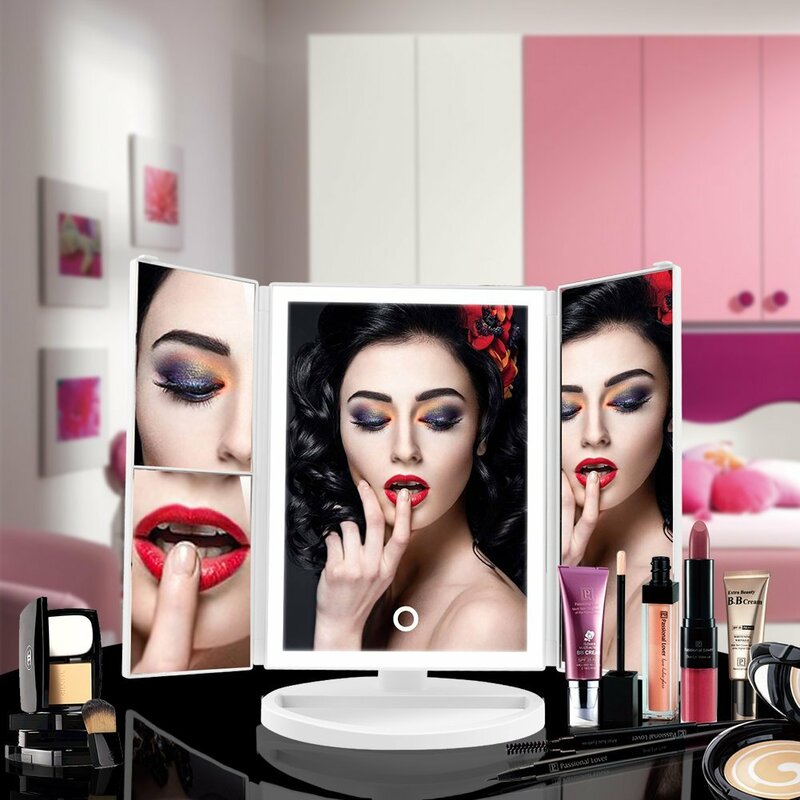 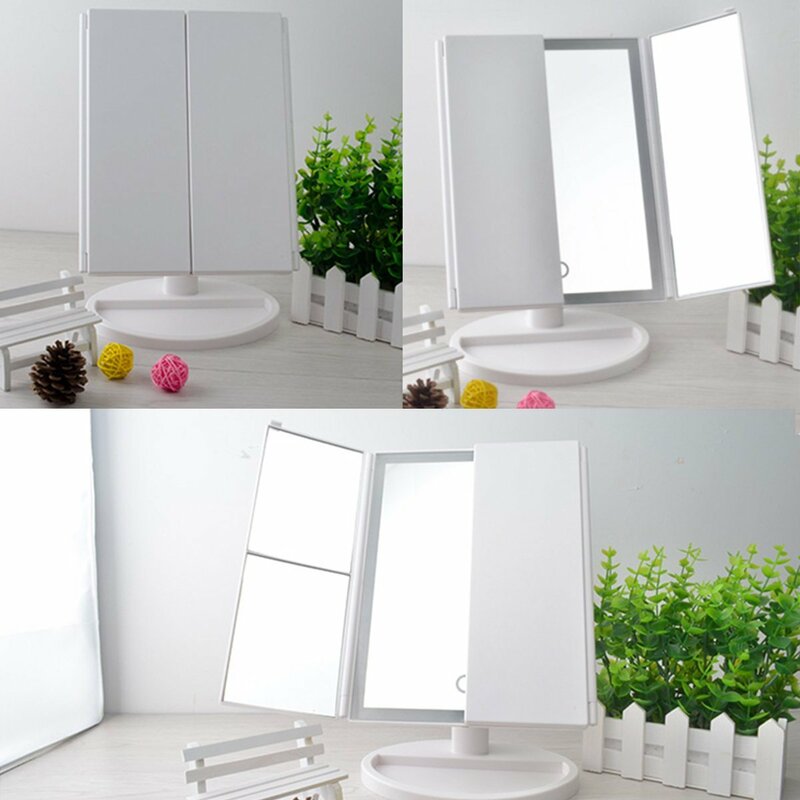 4-ECO-FRIENDLY MATERIALS: The makeup mirror adopts eco-friendly thickened ABS plastic with UV coating to ensure a nice look, light weight and resistance to scratch, chemicals, heat, finger prints and safe usage for everyone who likes beauty and personal care. 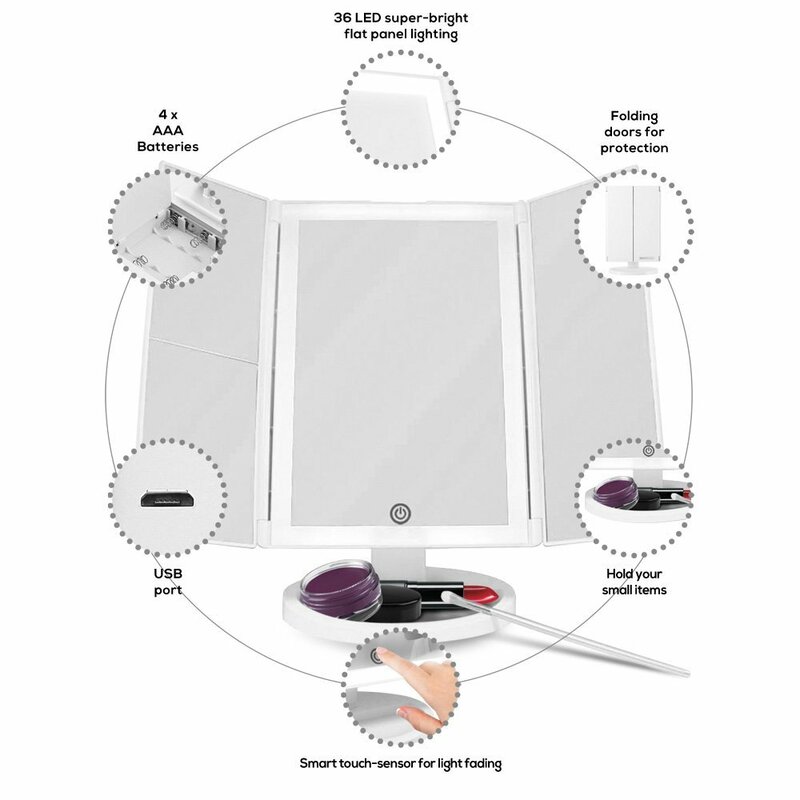 5-DUAL POWER SUPPLY: Operated by Micro USB cable supply or 4AAA batteries( battery not included, usb wire included) , pls noted the mirror can't store power by itself. 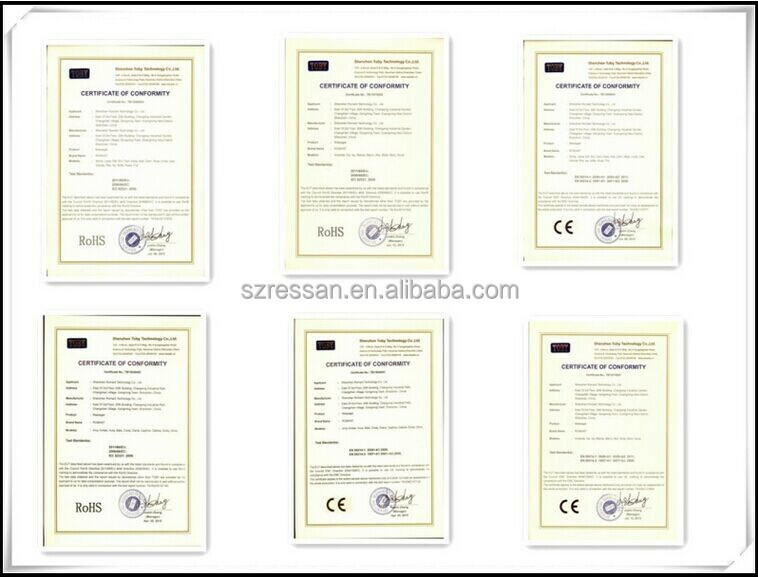 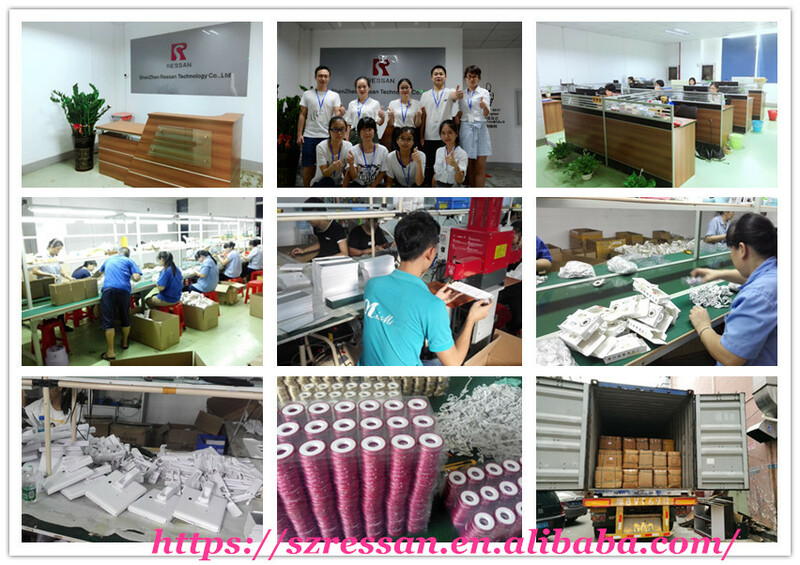 Shenzhen Ressan Technology Co., Ltd is a high tech enterprises which is specialized in researching,designing, producing and marketing high level smart products. 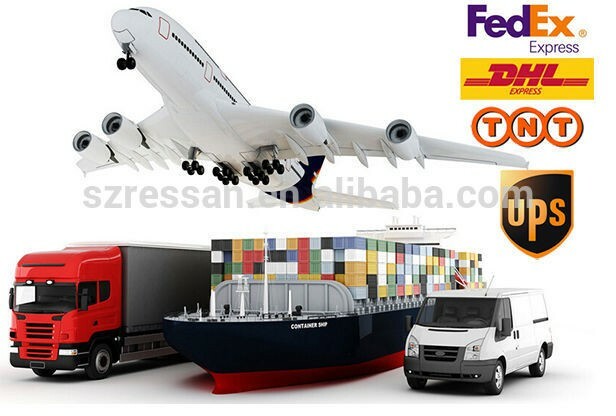 Ressan’s objective is to be one of the most reliable manufacturer of intellectual and smart products in the world for the customers and share the great success with the agents,clients,and partners.